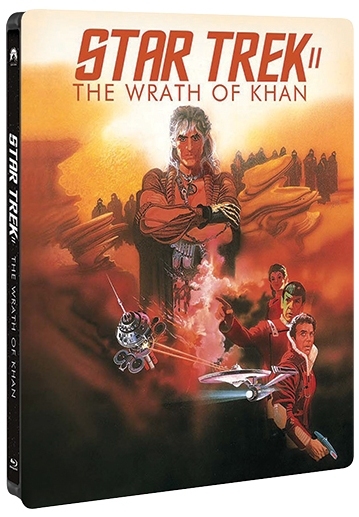 A little randomly, Best Buy have released an exclusive steelbook edition of the Wrath of Khan bluray. It is available in the US (although has already sold out online there), and Canada. I say randomly, because this is the first prime-timeline Star Trek movie to get a steelbook release, and it doesn't appear to be part of any greater scheme to release the other films in the fancier packaging. It does join both of the nuTrek movies, which have had multiple different steelbook designs released already. And if you're a German disc collector you can also pick up TNG and TOS bluray season sets in steelbook packaging. She is one of the leading program faces familiar to the public, the audience is much concern and love. Although she is not too active speech but clear voice, rich knowledge and outstanding looks help her impress when aired. With effort, your effort, she gradually improve ourselves and preserve the public's affection.